OPEN SUNDAY (4/28/19) 2:00pm-4:00pm! Welcome to Encina Royale! 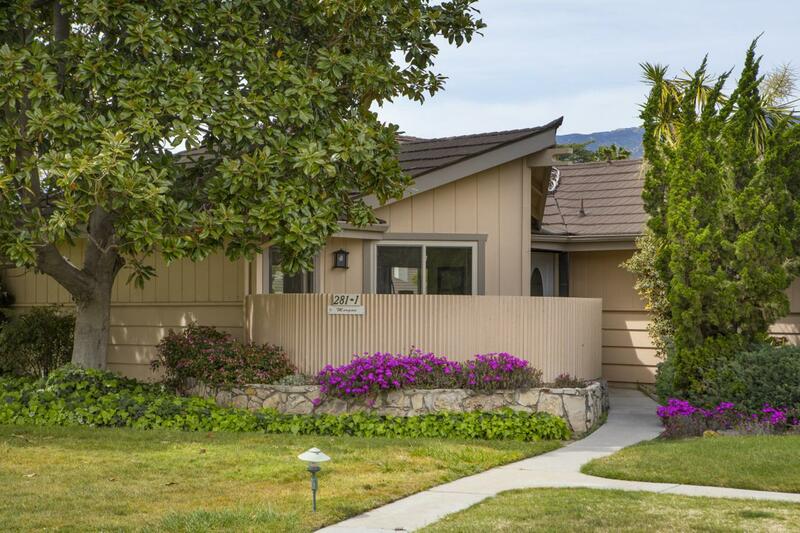 This is the premier condo offered for sale in this gorgeous 55+ HOA. This single-level end unit cottage is centrally located in the heart of the complex. 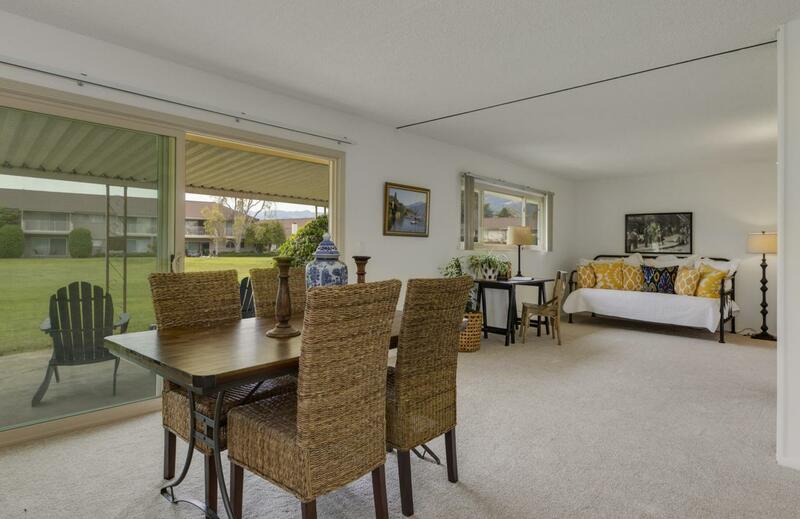 Enjoy panoramic views of the golf course and Santa Ynez mountain range from the living room, dining area, bedroom, and patio. The high quality dual-pane windows/slider keep this unit quiet and insulated. The owners have tastefully remodeled the kitchen and baths. The bathroom features an easy walk-in shower, beautiful glass shower door, white subway tile, and marble counters. The kitchen features a stainless steel dishwasher, oven, and fridge. The laundry hook-ups are conveniently located in the hallway. In addition to the covered patio, there isanother side yard patio off the kitchen, perfect place for the BBQ! This unit comes with an assigned carport space and storage. Due to its great location, this unit has easy access to ample street parking for additional guests just a few steps away. 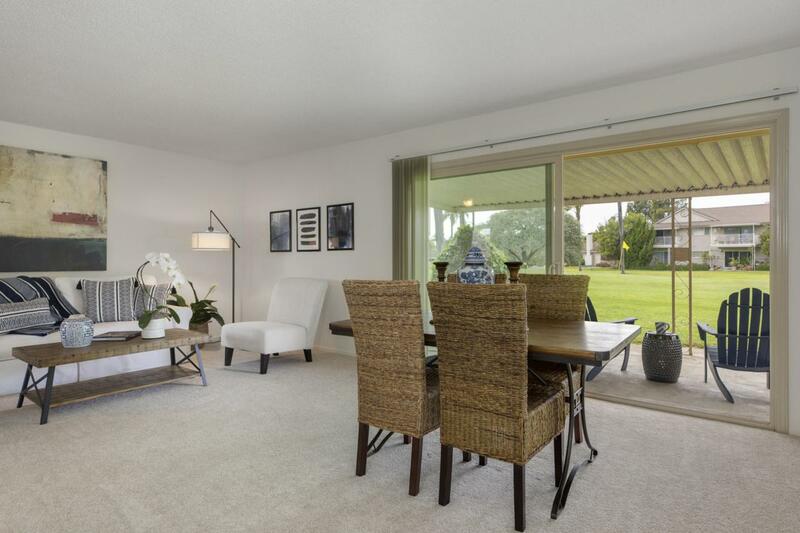 The Encina Royale homeowners enjoy 42 landscaped acres, koi pond, 9-hole golf course, heated swimming pool, clubhouse, game room, and croquet. 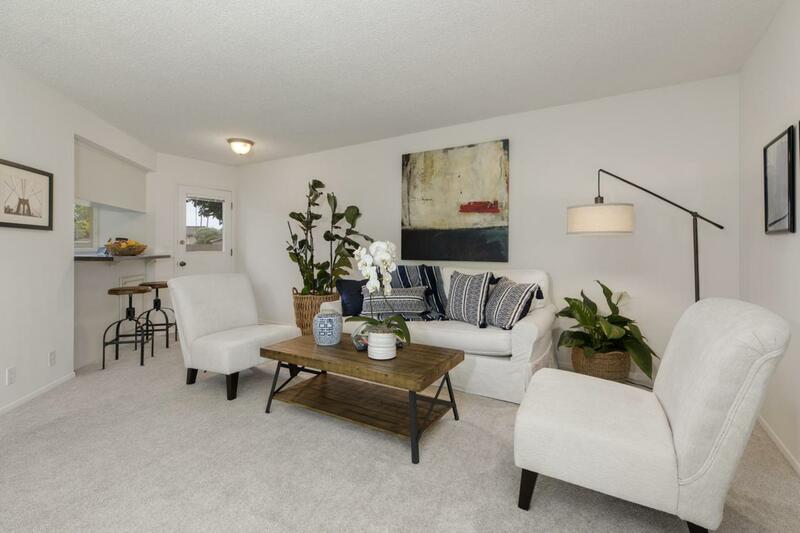 If you are looking to downsize to an easy, low maintenance lifestyle, this is the condo for you!